It felt like the entire forest had caught fire as countless wild animals were running and jumping around to obtain the red rain droplets. Meanwhile, The Lord slowly flew in midair as he drew a spell while reading a series of scripts. "Everyone who obtained my blood must obey my order. Find me the person I am looking for." The ring was once her favorite, and so it must be filled with her scent and aura as she carried it with her everywhere she went. Coupled with his G.o.dly blood as a guideline, all the animals which had drunk his blood would help him to find her. Finding Gu Xijiu would be effortless so long as she was still in the Dark Forest as the animals would send him a message if they saw her. He slowly landed on the ground after casting the spell and sat on a ma.s.sive greenstone to take a pill after shaking unsteadily for a while. 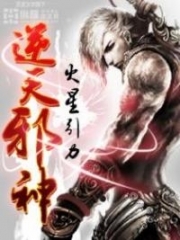 Mu Feng realized that his skin was ashen to the extent that it seemed to be a little transparent. Though he was such a strong man, he looked like a fragile piece of ceramic now. It was as though Di Fuyi would disappear if a strong wind blew at him. Mu Feng was shocked by his thought and quickly shook his head as he could not believe that he had just thought of something so stupid. The Lord would always remain as the most influential person, and no one would be able to defeat him. His anger could make the ground shake, so how could he possibly become as weak as a piece of ceramic? Mu Feng thought that he must have been exhausted from searching for Gu Xijiu over the last two days and so he could not focus his attention. Di Fuyi began meditating without saying anything after he had consumed the pill. 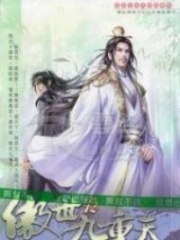 Mu Feng quickly stood beside him as his guardian. Two hours later, Di Fuyi slowly opened his eyes and got up from the ground. He had not received any news from the animals. It meant that Gu Xijiu was not at the seventh peak or any peak beneath it! Where would she go? Had she left the Dark Forest? 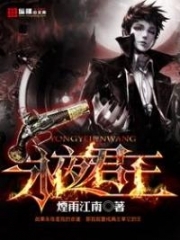 He took a deep breath and ordered Mu Feng, "Go out and gather all the secret agents. Find her." The secret agents would be able to locate her once she leaves the Dark Forest unless she had found a place to hide underneath a volcano just like Mo Zhao's palace. Mu Feng quickly made a move as soon as he received the order. Di Fuyi slightly closed his eyes. Regardless of what happened, he had to find her. Compared to Di Fuyi's miserable life, Gu Xijiu seemed to have enjoyed her life in the last two days. She had decided to stay in the village. After all, she could not leave once she had entered the village. The people in the town seemed to be very caring and united. Of course, most of them were somehow arrogant as they claimed that they were once heaven's gift disciples. Almost all of them were very proud of themselves and always competed with each other. Of course, it was only for training purposes, and they had no intention of hurting each other. Once the battle had ended, they were good brothers again. 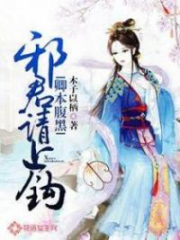 Gu Xijiu managed to collect a lot of information about the people there in just one day. There were a total of eight women and 32 men living in the village. The number of years that each of them had been trapped here varied; some have been here since 80 to 90 years ago while others have just arrived about two to three years. It was an isolated wonderland, and everyone thought about escaping when they first arrived. However, the villagers eventually gave up after failing countless times as the village was like an iron pot with no exit. They were trapped and they could not even find a tiny hole to squeeze themselves out. Anyhow, they had to find a way to continue living since they were unable to escape. Fortunately, there were plenty of resources in the village. The leaves on the huge tree had an excellent function as it could be turned into a unique silver fabric. The fabric was a suitable material for them to make their clothes as it was comfortable to wear and it was not easily noticed even when their clothes got dirty. Venerated Venomous Consort 1261 See If She Would Still Flee! 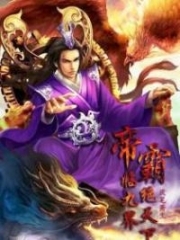 You're Read Venerated Venomous Consort 1262 No Matter What Happened, He Had To Find Her online at NovelOnlineFull.com. You can use the follow function to bookmark your favorite novel ( Only for registered users ). If you find any errors ( can't read,broken links, can't load photos, etc.. ), Please let us know so we can fix it as soon as possible. And when you start a conversation or debate about a certain topic with other people, please do not offend them just because you don't like their opinions. You're reading Venerated Venomous Consort. This manga has been translated by Updating. Author(s): Mu Danfeng, 穆丹枫. Already has 333 views. Current Time is 24-Apr-2019 06:22:41 AM.